Hey folks, today I will be reviewing Chris Lee’s Niche Site Course from RankXL.com. Chris Lee has created a course that shows you how he generated $16,000/month with Adsense niche sites. Unlike most other niche site courses where they teach you how to rank niche sites via PBN links and keyword research using a keyword tool like Long Tail Pro, he focuses on very simple and straight forward methods that are used by big SEO agencies. They are very effective and these methods can be applied by anyone who are willing to do it. Life-time membership Complete access to the RankXL Niche Site Course, all training units and course modules. 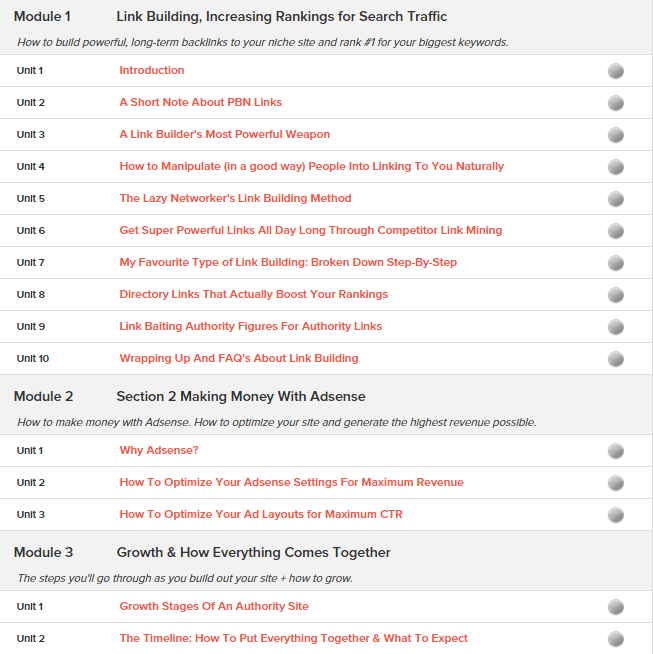 Niche Site Blueprint – The PDF version of the course. Download and read it on-the-go or off-line. Advanced Deep Dives – These cover the most important strategies more in-depth to take you from beginner to advanced. Free updates – All members receive all future updates to the course for free! That includes any major upgrades and addition of files and content. 3 Month Checklist – This will keep you on track and make sure you get off on the right track with your own niche site. 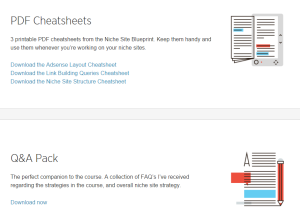 PDF Cheatsheets – 3 printable PDF cheatsheets from the Niche Site Course. Keep them handy for when you’re building your niche sites. Q&A Pack – A super useful collection of FAQ’s I’ve compiled that answers just about every question I’ve received about the course. 3 WordPress Themes – The EXACT themes and frameworks he uses for all his niche sites (including his main niche site). Niche Selection – Chris goes over where to get niche ideas and the places to brainstorm. He will also give you a guideline on what keywords to avoid. Analyzing Competition – Analyzing you competition without traditional keyword research tools like Long Tail Pro and Market Samurai. Creating Your Content – In this section, he goes over how you should create your content via “Pillar Posts”, which are high quality posts that will attract natural links and social shares. Launching the Site and Growth – Chris shows you the plugins and the steps he use to structure the site and also planning how to grow it eventually when you start ranking. Useful Tips and Tools – He goes over the plugins for WordPress and also the nitty gritty stuff to help you get your website going. Link Building – This is where Chris is different from the traditional internet marketer. The methods he uses are simple and effective(Email Outreach). It stands the test of time and you do not have to worry about getting penalized by Google. He focuses on long term growth. Monetization – Chris goes over how he uses Adsense to get maximum revenue and also optimal ad placements to improve earnings. Timeline and Expectations – He gives you a rough guide line on when you can expect to start earning income. Depending on which package you got, he offers some more in depth strategies to help you along the way. You get his link building query sheet and his personal ad layouts for his site and a few more bonuses if you choose the advanced package. As a member you can download all the extra bonuses to your computer for future reference. I got his course in June when it first launched. The reason why I bought it was to see if he was the real deal or he was just another internet marketer trying to sell you a crappy product and a push button easy guide to niche site riches. It turns out that he offers valuable advice and he himself is successful at Adsense niche sites. I am quite impressed and have since applied his methods to my existing sites and also new ones. The month hasn’t ended yet and I am pretty sure I can get to $100+ by the end of July. That means an extra $1200/year passive income from my Amazon niche site if I choose not to grow it(I WILL grow it). 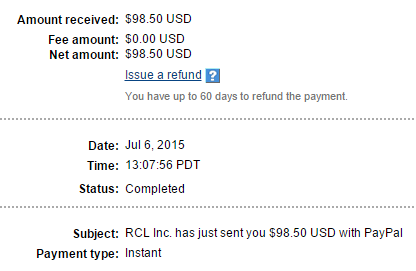 I also earned some affiliate commissions since using his email outreach methods for my interviews. As a result, I earned $138.10 for my efforts. My traffic has been all green and gaining almost 150% more traffic daily. With the use of his email outreach method, I was able to get one of my articles to grow viral and gain 3000+ visitors over 2 days as denoted by the orange spike above. 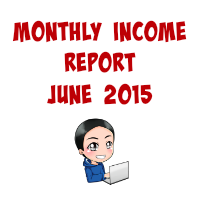 I intend to build my niche sites and also my blog to become long term passive income earners. Are you looking for a way to earn long term passive income? Do you enjoy working with WordPress sites? Do you like the Adsense model where you earn money based on clicks? Are you willing to apply the methods shown in the course? If you answer yes to all of the questions, then this course is a perfect fit for you. Having gone through the entire course, I can give you my own opinions about it. First of all, the material is all text written with pictures. The only thing I feel is lacking is there is no video guidance. So if you learn best with videos, then this might not appeal to you as much. That isn’t a problem for me since I am already an advanced internet marketer and I know how these stuff works. I just want to learn the methods he used to grow his income from $3000/month to 5 figures per month. If you are new, you might probably need to look up on the nitty gritty technical details which the course doesn’t include. Other than that, it shouldn’t hinder you that much. What I like about the course is that it is very simple and straight forward. All you have to do is to take action and apply the methods his teaches. If you are stuck, just come back and review some of the course material and you are good to go. The thing I would like to mention about the course is that it has a 1 time fee only. That means I don’t have to pay any monthly fees, which I really hate. The only thing I would pay monthly fees for is my internet bill and Aweber. His course is well worth it in my opinion. As you can see from my results, I have earned over $200+ in about a month and 100% traffic growth for my blog since applying his methods. I recommend you take his beginners package if you are serious about building niche sites. I have been looking at getting it since your interview. Going to checkout the basic package. Thanks for the review. I am also planning to buy the course as I have recently started a blog but finding it difficult to take further.